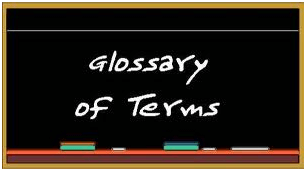 This glossary contains clarifications for some common terms used within the industry. A glossary is used like a dictionary, though specific to a certain genre, in this case the glossary relates to hoisting equipment and the lifting gear industry. Alphabetical Glossary for easy navigation. Abnormal Operating Conditions- environmental states that are harmful, unsatisfactory and destructive to or for the satisfactory operation of the hoist or crane; such as being open to weather conditions, overly high or low heat, being in a corrosive atmosphere, extremely wet or some other hazardous location. Anchor Bolt- a fixing bolt that is set into masonry or concrete with its thread projecting to hold a jib crane/ gantry in place. It can be a standard floor bolt or chemical anchor and suitable for the load that needs to be applied to support the structure. Air Hoist- a hoist used for lifting or lowering a load by means of a chain that is motor driven by air. Atex rated- hoists specifically designed and manufactured to operate in an explosive atmosphere, whether gases, vapour or mists the hoists have a specifically spark proof nature because of materials used and adhere to rigid atex certification. Auxiliary hoist- a hoist used as a backup especially if the main unit fails, often runs close to the existing primary unit and is often a girder unit. Bay- The area in a factory between the actual building frameworks. Below the hook devices – anything hanging from the hoist or crane itself which are used as an aid to lifting generally meaning; sings, chains, clamps, shackles etc. Boom- The horizontal beam that the crane or hoist travels on generally meaning the arm of the jib. Brake- the device fitted to the unit stopping it moving operated by either electricity or friction or by air; can be fitted to stop it moving sideways, forward & reverse or up/down. Blocking Loads- allows slings or chain to be removed from underneath the item to be lifted once it has come to rest. Bridge- the main structure of the crane which runs across the bay. Normally carries the hoist and is supported at each end generally by end carriages. Bridge Travel- indicates the crane or hoist movement (long travel) between the supporting structures. Buffer- is the device generally rubber or nylon which is either at the end of the crane travel or on the hoist hook to reduce any impact. Cab- the position where the operator will sit, generally in very large high cranes with a great capacity- normally dockside cranes etc. Usually located on the bridge of the crane. Capacity- is the maximum weight the hoist will be required to lift; measured in either tonnes or KG. Chain Guide- generally taken to mean a sprocket or pitched wheel protected by a part made to direct the chain correctly. Chain hoist- a unit mostly used for small capacity uses and lighter duties. Generally taken to mean manual operation but can be electric or air and usually a cheaper option. Chain Collector- means the bag or bucket fixed to a hoist to collect surplus chain. Clearance- meaning the space between the lifting points- important if the hoist needs to travel and pass other objects. Collectors- part of the electrical supply carrying current generally running in conductor bars on either the long travel or cross travel. Conductors- bars on the crane beam or supporting member that carry power. Control pendant- a method normally push button hanging underneath the hoist to control the movement of the unit by the operator. Crane- a large, tall machine used for lifting and travelling heavy objects- suspending them from either a beam or slew arm. Crane Span- the distance between the horizontal supporting structures of the crane. Deflection- is the movement of the hoist, crane, beam between its unloaded and loaded condition. There is a strict and acceptable test formula for most items. Designated person- a person or operator competent and trained to carry out specific tasks. Double Girder- a crane designed to run using 2 cross travel beams with the hoist running on rails on the top- primarily to maximize headroom. Drum- the round barrel on a crane which the cranes ropes run around for lifting and lowering the load. Electric Hoists- a mechanical unit used to lift or lower loads, either by chain or wire rope which is powered by electricity either standard 3 phase of single phase 110v or 230v. Emergency stop button- a button normally fixed to the unit most likely on the pendant designed to cut off power immediately to the unit. Enclosures- generally meaning the panel box housing the electric contactors and controls fixed to the electric hoist or crane. End stop- a part fixed to the hoist or steel work designed to limit movement, it can be just an angle or block, and it doesn’t have to be energy absorbing. Exposed-in hoist/crane terms generally meant to mean items that could be caught or touched in error often resulting in injury because dangerous objects are not guarded adequately. Falls (chain or wire)- the number of chains or wire supporting the bottom load hook. Failsafe- a system or device designed specifically to control motion in the event of a malfunction. Floor operated crane- a hoist, block or crane that is operated by a pendant or in the case of an air hoist by a simple pull cord, from the workshop floor or working area. Foundation- some floor mounted and free standing swing jibs need a special/strong foundation excavated prior to fitting, generally a block of high grade concrete suitably re-enforced. Hand chain- the chain fitted to a manual chain block used by the operator to lift and lower. Hand chain wheel- is the wheel fitted to the hoist or trolley that allows the hand chain to travel by means of pockets around its edge and allow force to be applied. Hand geared- the action of the crane, hoist or trolley by the physical use of the unit with electrical or air power. Height of lift- is the distance from the floor to the hook of the hoist or crane in its fully drawn up position. Headroom loss- how much space will be taken by the hoisting device underneath the runway beam or gantry. This will help to determine the height of lift of the complete structure. Hoist- a mechanical device used for lifting or lowering of items using a hook or some other lifting accessory. Can be operated manually or powered. Hoist Chain- is the load chain fitted to the hoist allowing the lift and is tested to ensure a safe lift. Hoisting motion- the movement of the crane which lowers and lifts the load as required. Hook- the curved device fitted to the hoist at the end of the load chain and also to the top of the hoist block to either suspend or hang the load from. Lever hoist- a manual device operated by a lever used to lift, lower or pull a load, often used to apply or release tension because of its slower ratchet and pawl operation is best used to incrementally raise and lower the load. Lift height- the maximum height the hook can safely travel from the floor. Limit- an apparatus that is operated by power (switch) or motion on an electrical/ air powered unit to limit travel. Load- The weight of the item imposed upon the lift device. Load sprocket- a component within the hook which transfers motion to the load chain. It can be called the load wheel or sheave. Magnet- a device often used on a hoist or crane to lift the load magnetically. Manual hoist- a device used for lifting using chains or ropes but operated manually rather than powered by air or electric. Minifor hoist- portable hoists used with rope to lift or pull objects over long distances depending upon the wire rope length- capacity up to 500kg. Normal operating conditions- the state during which the hoist/crane is carrying out its function within the requirements of the original design. Overhead crane- a device comprising a moveable hoisting unit and bridge arm on a fixed overhead structure. Overload- when a load is applied which is greater than the rated load of the device. Pendant station- the controls used by the operator to use the lifting device- i.e. up/down, left/right, forward and reverse and e-stop. Power operated hoist- is a device whose workings are driven by electricity or air. Power supply- what electrical supply is in the building which will serve the crane i.e. 3 phase 400v or single phase 110v/230v. Radio remote control- uses a radio frequency and pendant rather than the standard pendant and cable- allowing operation of the hoist from the safest location, no restrictions of a fixed pendant. Rated load- this is the maximum capacity the hoist is designed to handle. Reeving- a way in which the hoists rope or chain travels around its component parts i.e. sprocket, sheaves or drums. Rope- generally meant to be the load rope of the hoist, steel wire- with diameters, terminations and lengths specifically for the safe working load and hoist design. Runway- The beams, supports and steelwork which the hoist operates from. Scaffold hoist- generally a heavy duty but lightweight hoist specifically used attached to scaffolding on site. Single phase operation- normally with longer heights of lift used primarily on building sites. Sheave- comprising of a grooved wheel running freely that holds a wire rope reducing wear and abrasions on the cable used in the bottom block or hoist. They are used to direct cables and help lift loads. Side pull- hoist chains and ropes are designed to operate vertically- side pulling is detrimental to the hoist and components not allowing them to function correctly. Support column- a pillar supporting the runway beam which the hoist runs on. Trolley- a small device on wheels travelling across the beam designed for a hoist to suspend from. They can be manual push or electrically operated and controlled from a pendant. Wire rope hoist- a unit designed to lift using wire rope. They are often a robust, heavy duty unit with a variety of speeds and configurations, generally used on overhead cranes with a greater range of capacity and heights of lift. Hopefully our Glossary of terms has helped you understand some of our many terms however if there is still something you cannot find here please let us know and we will get them added to our glossary for you. A glossary can be particularly helpful to those unfamiliar with the lifting gear industry, students doing research and for those instances when you know but just want clarification.